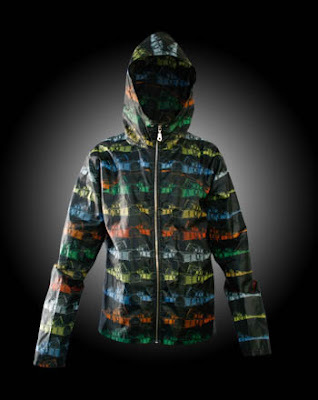 You can pre-order this anorak from Radiohead's website, W.A.S.T.E., for just 45GBP. Apparently it's made from 15 or so recycled PET bottles. Order it here. Get away from my wardrobe!